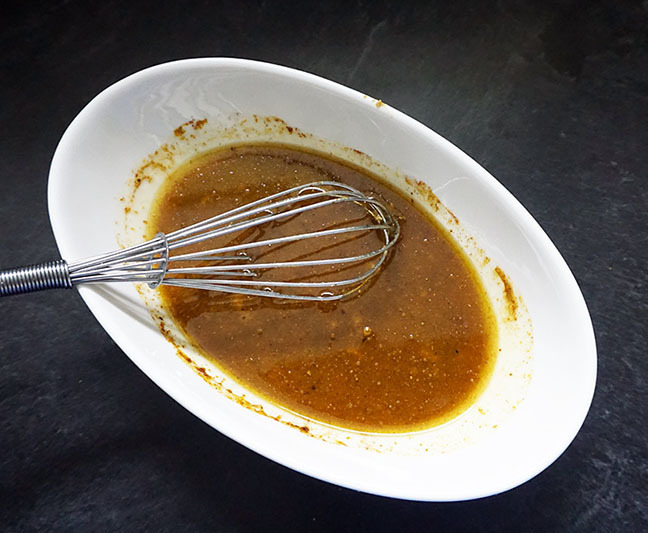 A homemade dressing or vinaigrette is so simple to make and the taste is out of this world. On top of that you know exactly what is in it—so healthier too! We have a terrific selection of spice/herb blends that will make your dressings and vinaigrettes something you will be proud to serve your family and friends. You can use just about any of the MSC blends. The combinations are endless, your imagination is the limit. We would love for you to share your favorite recipes. To make a vinaigrette you need 5 ingredients. An oil, an acid, a Milford Spice Company Herb/Spice Blend, flavoring and, if needed, a sweetener. Basic recipe is 2 parts oil to 1 part vinegar (play with ratio to see what you like, half and half is a popular ratio also). For example, to make a 1/4 cup Wordhouse Wow vinaigrette you would use 2 tbsp Olive Oil, 1 tbsp Red Wine Vinegar, 1 tsp Wordhouse Wow and a pinch of salt. Whisk together and let sit for 5 minutes for the herbs to bloom. Simple and delicious! Although vinaigrettes are technically a dressing, we generally think of more a creamy base for this. You can use the above chart for the basic combinations. Substitute the Oils for a Creamy base. You can use mayonnaise, buttermilk, yogurt or almond milk. To make a great salad you need to please all your senses. You need leafy greens, veggies and fruits, and crunchy elements for texture. If you are making your salad a meal, you need protein. So, of course, this table is a fraction of what you can use but it shows how to layer a great salad. I loved the Perfect Chicken Soup so much I decided to make a Beef Vegetable Soup. Once again I used the Instant Pot, but you can of course make this on the stovetop or the slow cooker as well. For my Beef Vegetable Soup I used the Awesome Onion Soup blend. This is hand blended with minced onion, parsley flakes, turmeric, onion powder, celery salt, sugar and black pepper. It is fantastic as a dip, great on roasts, potatoes and as a soup starter. Today it is a soup enhancer, so good and very good for you! 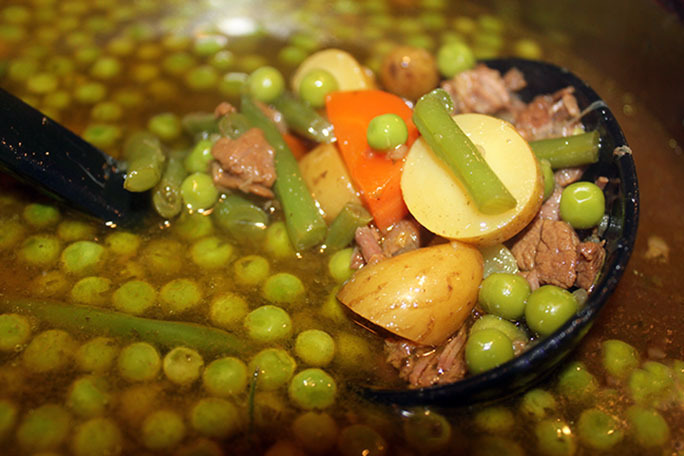 I used the traditional Beef Vegetable Soup veggies for this—English peas, green beans, fingerling potatoes and carrots. Add the quick cooking veggies almost at the end to keep them from getting mushy. 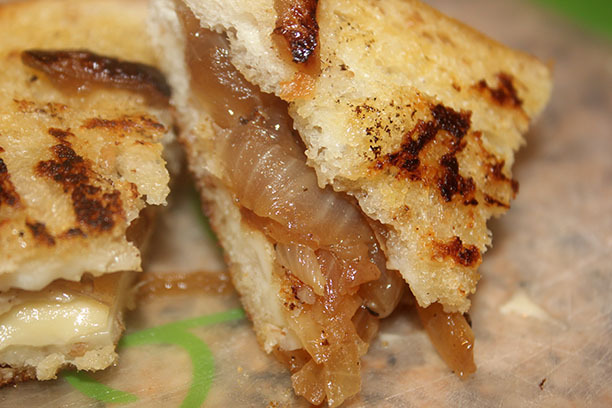 I also whipped up a caramelized onion grilled cheese sandwich to go with the soup. Yum! A glass of Merlot went very well with this meal.